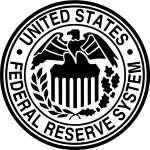 The Federal Reserve issued its September 2013 policy announcement seconds ago. The Committee opted to NOT taper bond purchases at this time, which was a surprise to many who were convinced the Fed would begin to taper in September. The statement can be found here. I wrote about my thoughts regarding the Fed’s Taper Troubles, and how the Fed might continue to support the fragile recovery while scaling back from the massive, trillion-dollar bond purchases known as “Quantitative Easing.” While the market reacts to the decision, it should be noted that many folks will be listening to Chairman Bernanke’s press conference to start around 2:30 p.m. EDT. You can check out the press conference here.